Fariha is a lovely energetic 4-year-old little girl. Her young life took a dramatic turn when she was a year old. Like many toddlers learning to walk, Fariha was placed in a baby walker. As her little legs carried her from room to room she came across a container of scalding water. Just at that time, her walker tipped and she fell head first into the bucket, burning her head, face and neck. Three years ago, Fariha's family saw a television advertisment announcing the 2012 Rotaplast mission to Chittagong. As sometimes happens on a Rotaplast mission, the need is so great that we have no room on the OR schedule to help everyone. 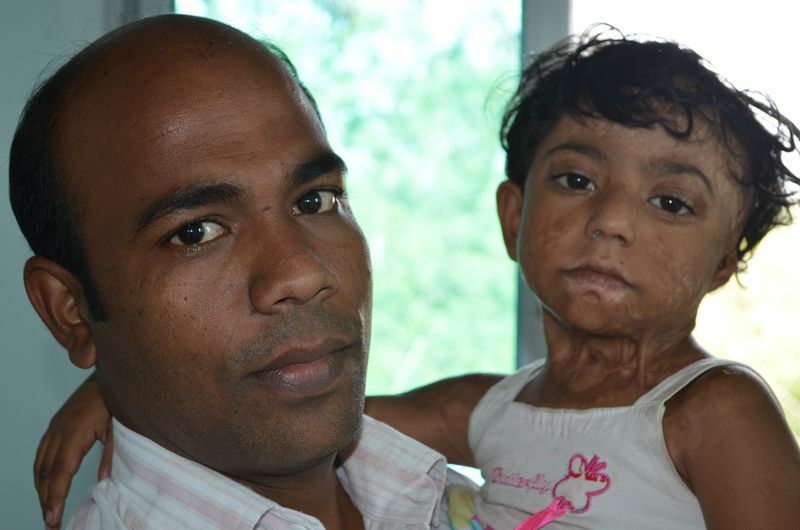 Fariha was unable to receive surgery that year. Rotaplast asked the family to come back the following year. This is one of the reasons that it is imperative that Rotaplast returns to the site of a mission that has such an incredible need. 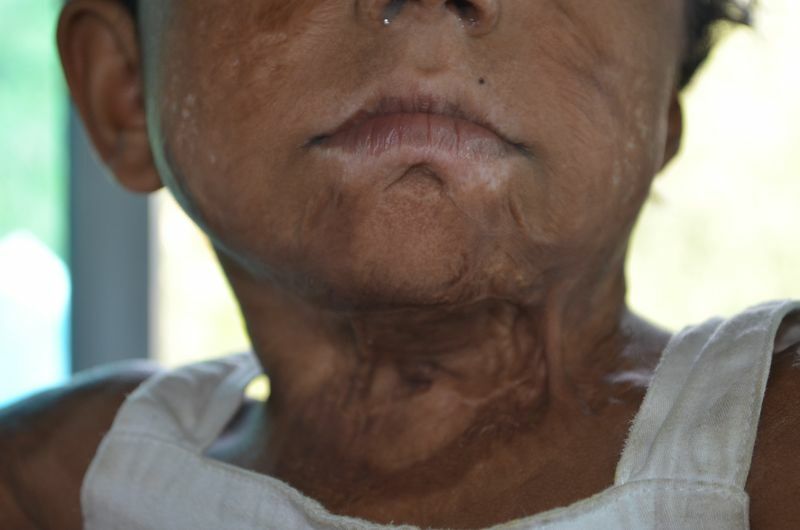 Fariha did return the next year to receive the surgery she so desperately needed to release contractures on her neck. And she is back this year for more work to her neck. 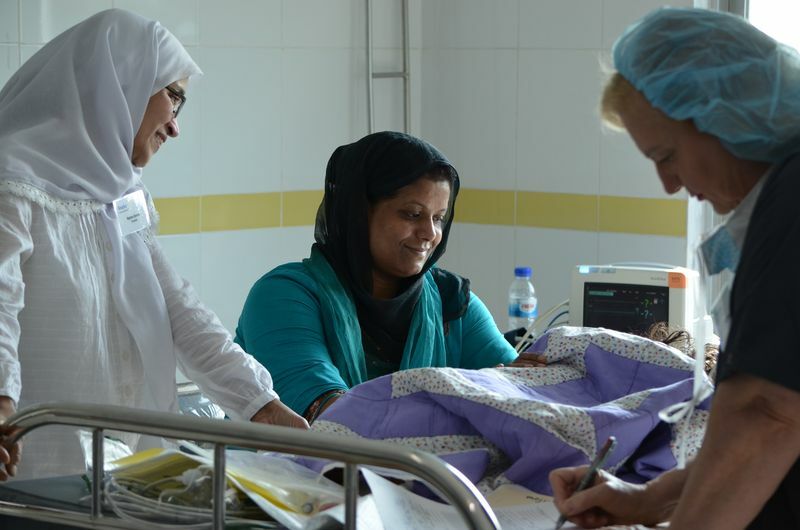 Her mother, Parul shares a grateful smile while Fariha rests comfortably in the recovery room.